Prison is never fun. But Incarceron is truly hell, because it is alive, watching you, waiting to destroy you, and enjoying the process. 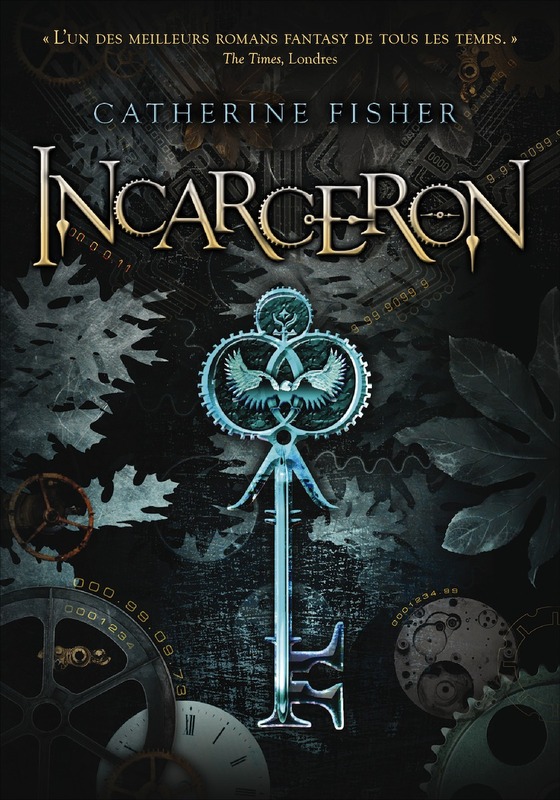 Catherine Fisher creates a vivid, wonderfully written dystopian world in her new YA book Incarceron. The creativity of this book is what struck me strongly from the start. The prison is alive. Not alive as you or I are per se, but it thinks, watches, and plans. There is even a creepy laugh that can be heard from time to time. The story hits the ground running, with the reader being thrust into a tense situation with the male protagonist Finn. He is trapped and about to get run over from a group of people he doesn’t know. But they stop, and are ambushed. Before everything can truly be carried out, the prison decides to shake things up, shooting laser lights that kill, tearing down walls and re-forming rooms, and basically sending the prisoners to their deaths if they don’t move fast enough to get away. Finn was born in the prison, created from recycled flesh (gross!) as a teen with no memory of how he got to be that age. But there are those who doubt, who think he might have been born outside, confirmed by Finn’s vivid visions of a foreign world with stars in the sky that leave him collapsed and in a weakened state. He also has a strange tattoo on his wrist, which he knows is connected to it all somehow, and when he encounters a woman who might have information about what the image could be, he does everything he can to talk to her. The story jumps to Claudia, whose father is the warden of Incarceron. They are on the outside, living in a simplified society, and Claudia and her friends have the impression that Incarceron is a paradise for its prisoners. But Claudia wants to know what is really happening behind the doors of her father’s study, and the path she takes connects her to people and a world that are completely unexpected from everything she had been told. What I thought was going to be the major secret of the story was reveled pretty early on, and at first I wasn’t sure how I felt about that. I was worried the rest of the tale was going to be predictable and hard to get through because I’d be bored. But in actuality it worked out great. The info revealed was vital to telling the true story, and there were definitely some secrets at the end that completely caught me off guard. I really enjoyed the way the story traded off between Claudia and Finn. There were two complex, interesting stories happening at the same time, slowly becoming interconnected. Plus, all the different ways the prison functioned, the humanness of it, was incredibly well done. I’ve never read anything like this book. The complicated, interwoven plot layers, the wonderful characters, and the tense adventures happening on both ends made this an easy book to get through. It was a great reading experience that I hope you also get to enjoy! Next postRead the “Dune” Comic Online!